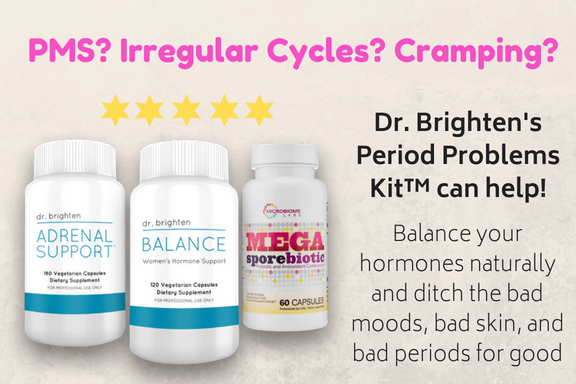 Has your doctor told you about birth control pills, antioxidants and the way they interact? That your birth control pill is depleting your antioxidants? My guess is, probably not. 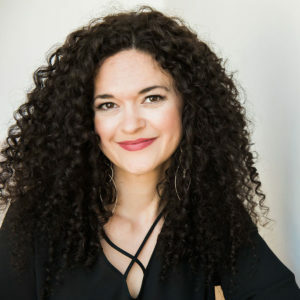 As the leading expert in post-birth control syndrome and the long-term side effects and consequences associated with hormonal contraceptives, I meet with women in my medical clinic every week who are struggling with the devastating effects of the pill. One major side effect of the birth control pill is antioxidant and nutrient depletion. This is something we talk a lot about within my Birth Control Hormone Reset program because it is a crucial step in supporting your health and hormones. Today I want to have some real talks about the pill, antioxidants and why you should care about them. Did your doctor tell you that the pill depletes antioxidants like crazy? Antioxidants bust free radicals like nobody's business. I like to think about them as being protective little ninjas. Imagine them doing back flips and kicks, safeguarding your cells against free radicals. Free radicals are molecules that cause oxidative stress and DNA damage. Antioxidants protect against this. Antioxidants are considered anti-aging because of their ability to protect and repair cells. They are beneficial to brain health, fertility, autoimmune disease, hormone balance, diabetes and other conditions. If you’re on the pill or have ever been on it then you have a need for antioxidants. In this article, we are going to take a deeper dive into vitamin E and vitamin C, which are two major antioxidants the pill depletes. Vitamin E and vitamin C are two antioxidants that are well documented to be depleted by the birth control pill.These two antioxidants work synergistically to protect your cells. To understand how vitamin E and C work together we first need some cell basics. Now, I know this is super nerdy but hang with me here because I promise it is worth it. Your cells have a fatty wall that surrounds all the goodies inside. This is referred to as the lipid bilayer. The inside of the cell and surrounding fluid is referred to as the aqueous layer. Think, lipid bilayer = fat and aqueous = water. Vitamin E lives within the lipid bilayer of your cell or in other words, within the cell wall. Vitamin C is a water soluble vitamin so it is found in the aqueous layer. Download My Free Birth Control Quick Start Guide. A free radical is a molecule that is missing an electron, which makes it unstable and gives it the potential to do serious damage. When a free radical bumps up against the cell wall vitamin E will give away an electron to protect your cell from damage. Without vitamin E a free radical will rip apart your cell like crazy, causing oxidative stress and DNA damage. And nobody likes that business. Once vitamin E gives up that electron it's up to vitamin C to come in FTW and regenerate vitamin E’s free radical fighting abilities. Good ‘ol vitamin C! This is some pretty important stuff. If you’re using hormonal birth control and it is depleting your ability to protect your cells then you can expect cell damage. Eating antioxidants and supplementing is a must for however long you choose to continue the Pill. I think we can all agree that boosting antioxidants is in order if you’re on the pill. The first place to start is with diet. 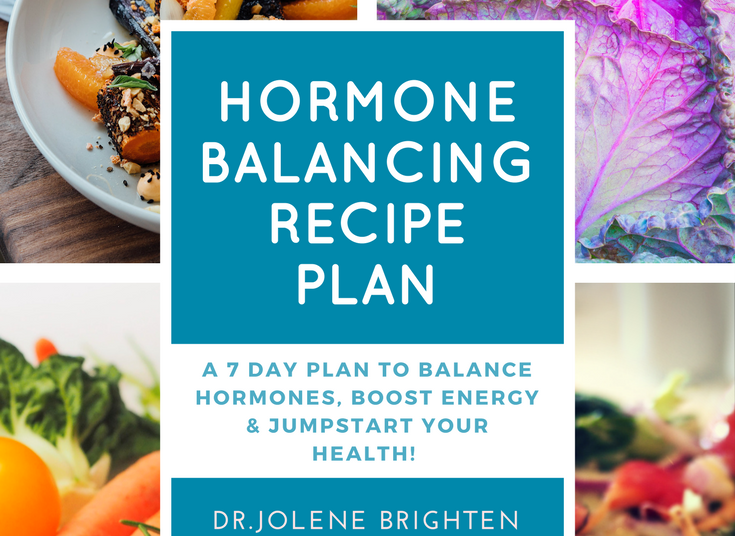 If you struggle with knowing the right foods to eat to support your hormones, I invite you to grab my free birth control quick start guide. Foods rich in vitamin C include citrus, like oranges, grapefruit and tangerines. 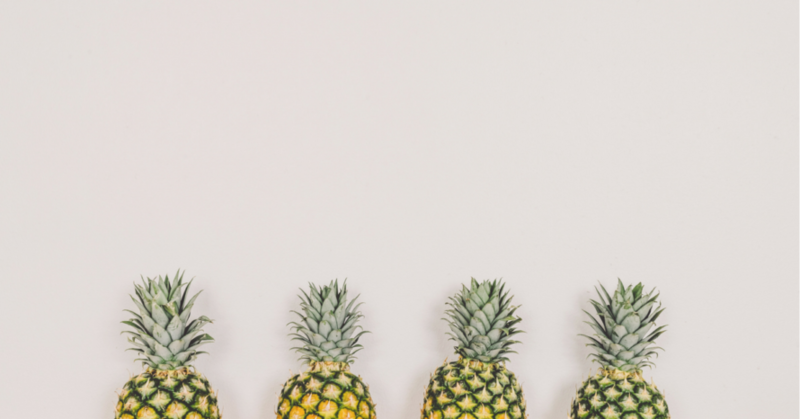 Strawberries, bell peppers, pineapple, tomatoes, kiwi and broccoli are also sources of vitamin C. Vitamin C begins to break down as soon as it is exposed to air, so be sure to cut these right before consuming. You can get a bit of vitamin E from eating leafy greens like chard and spinach, but the highest sources of vitamin E come from nuts, seeds and fats. Sunflower seeds, almonds, pecans, and fatty fish are among the higher sources of vitamin E.
I’m a big fan of antioxidant supplementation for women on the Pill and in the treatment of post-birth control syndrome. 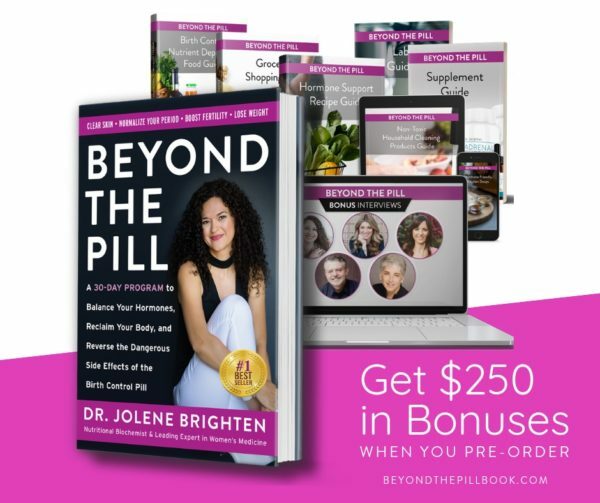 This is why I recommend my Paleo Detox Kit, which includes additional antioxidant support for women coming off the Pill and women needing to stay on. In my medical practice I also recommend that every woman be either on a multivitamin or a prenatal to safeguard against the nutrient depletions caused by the Pill. How do you know which one you should be on? Prenatals are not just for getting pregnant. In fact, they are nutrient loaded to support you and the growth of another organism, which means if you're taking a medication that is dumping your nutrients like crazy a prenatal is probably a better bet for you. Look for a prenatal or multivitamin with at least 500 mg vitamin C and 40 IU of vitamin E. Your vitamins should also 200 mcg of selenium to support glutathione production (another major antioxidant). Iron is a consideration as well. If you're having a period every month, you're losing blood and that means you're losing iron. Prenatals often have a higher amount of iron than regular multivitamins. Be sure to look for one that has a bioavailable form of iron, like Ferrous Bisglycinate Chelate, as this is absorbed easier and tends to be less upsetting for digestion. If you’re no longer have a period then it is unlikely you need to additional iron, but a blood test is the best way to check. A simple CBC and ferritin can help you understand your iron needs. The prenatal I carry in my store contains both vitamin C and E, along with the right balance of selenium, iron, B vitamins and other nutrients depleted by the pill. I’ve also found supplementing with glutathione to be highly beneficial. Glutathione offers cellular protection, while also supporting detoxification. I recommend a glutathione supplement for all of my patients coming to me for help with birth control related side effects, who can’t quite quit the pill yet, or are struggling with post-birth control syndrome. Use caution when selecting a glutathione supplement. When I was struggling with Hashimoto’s I took a lot of different glutathione supplements with little effect. This is because if you are not taking the right form of glutathione then your body will break it down before you can ever get the benefit. For glutathione to be well absorbed it needs to be in a liposomal form. Liposomal glutathione is packaged up in a fat-soluble form that contains the same fats your cell walls are made of. Because of this, the glutathione is supposed to be easily transferred to your cell wall and protected from breaking down in the gut. 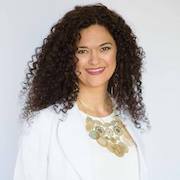 The glutathione I carry in my store is in the liposomal form because it is a superior delivery system that supports the delivery of glutathione into the cell. If you're taking hormonal contraceptives then you are depleting antioxidants. This leads to oxidative stress or in other words, busting up your cells like crazy. You need to be replenishing your antioxidants every day as long as you stay on hormonal contraceptives. Having the right nutrient support will also make it easier for you when you decide to transition off. Here's the deal, if you want to get off of these hormones you're going to need more than just vitamin E and that vitamin C, otherwise you're going to be in hormonal hell because without proper support our body has a hard time recovering after the pill. If you're looking for more support around birth control side effects, post-birth control syndrome, or hormones altogether—I got you. I'm the first doctor to develop a comprehensive protocol to help women transition off of hormonal contraceptive and to support them while they're on it. I’d like to invite you to join the first doctor designed birth control support program to help you take the reins in your health, take back your hormones, take back your period, and feel your best. 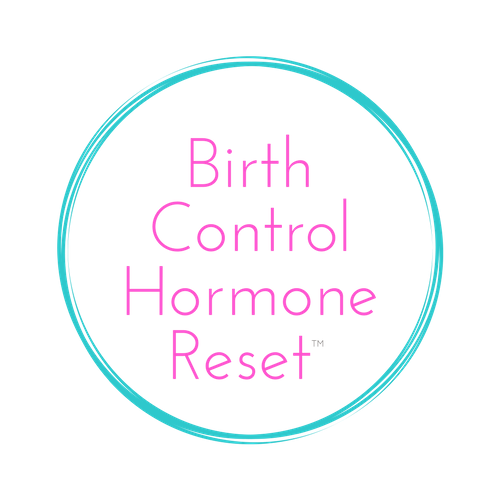 Curious about how the Birth Control Hormone Reset Program can help? Fallah S, Valinejad Sani F, Firoozrai M. Effect of contraceptive pills on the activity status of the antioxidant enzymes glutathione peroxidase and superoxide dismutase in healthy subjects. Contraception. 2011 Apr;83(4):385-9. doi: 10.1016/j.contraception.2010.07.026. Epub 2010 Oct 14. Jiang Q. Natural forms of vitamin E: metabolism, antioxidant, and anti-inflammatory activities and their role in disease prevention and therapy. Free Radic Biol Med. 2014;72:76-90. Jiang Q, Christen S, Shigenaga MK, Ames BN. γ-Tocopherol, the major form of vitamin E in the US diet, deserves more attention. Am J Clin Nutr. 2001;74(6):714-722. Thorp VJ. Effect of oral contraceptive agents on vitamin and mineral requirements. J Am Diet Assoc. 1980 Jun;76(6):581-4.